Huge Savings Item! 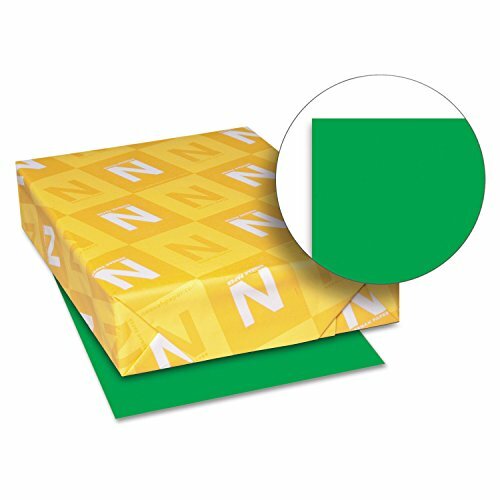 Save 11% on the Neenah Paper 22741 Color Cardstock, 65lb, 8 1/2 x 11, Gamma Green, 250 Sheets by Neenah at LDP Graphic Design. MPN: WAU22741. Hurry! Limited time offer. Offer valid only while supplies last. Bold colors get all the attention! Heavyweight stock is ideal for applications and projects that need the durability to withstand repeated use. Bold colors get all the attention! Heavyweight stock is ideal for applications and projects that need the durability to withstand repeated use. Perfect for direct mail, business cards, table tents, presentations and more. Smooth finish. Laser, inkjet and copier performance guaranteed. Acid- and lignin-free. This product was made from wood that came from a certified managed forest. Brightly-colored card stock gets noticed every time. Ideal for color-coding, menus, posters and more.